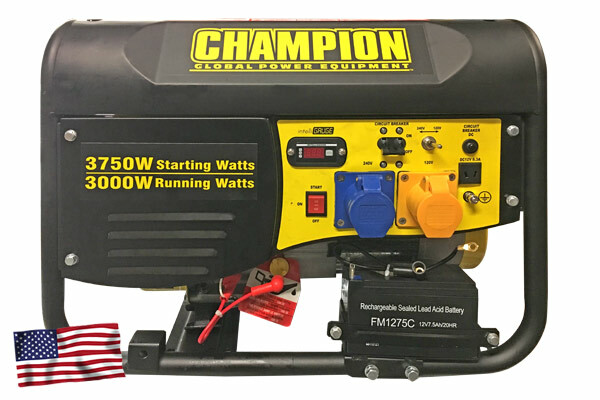 The Champion Power Equipment CPG4000E1 portable petrol generator is powered by a 7.5hp 224cc Champion single cylinder, 4-stroke OHV engine that produces 3000 running watts and 3750 starting watts. 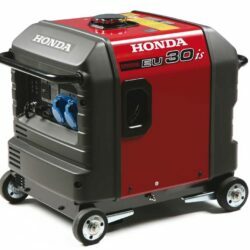 With a 14.4 litre fuel tank this unit can run up to 12 hours at 50% load. Our OHV engine is equipped with a low oil shut-off sensor and designed for long life and easy maintenance. This unit is ideal for RV’s, camping trips, hunting, travelling, jobs around the house, or home back-up power during emergencies. Ideal for powering a fridge, furnace, lights, TV, other small appliance or a few household items. Newly re-designed for 2016, with a smaller case and LED screen which displays the voltage, frequency and hour count. Produces a maximum output of 1000w / 1kW for powering appliances such as televisions, laptops, air compressors and more. 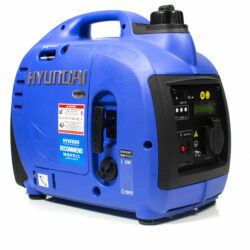 Powered by an easy start 50cc 4-stroke Hyundai petrol engine, with a 230v socket and 12v DC battery charger. Compact, lightweight and portable, allowing you to store it in car boots or caravan cupboards, and carry it with ease. “ECO” mode lowers the engine revs to increase fuel economy and noise, whilst extending the engine lifespan. 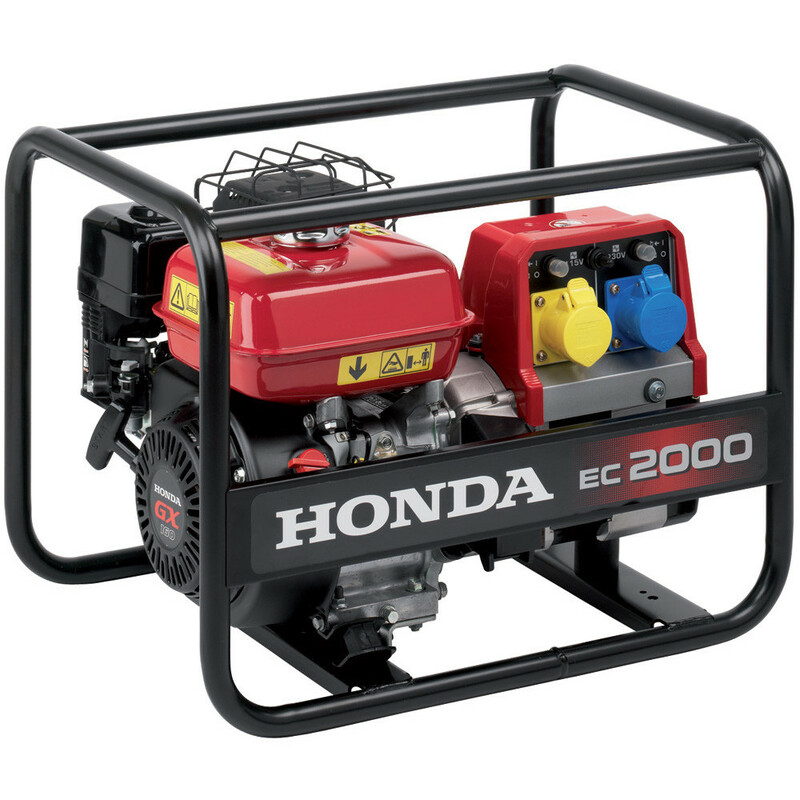 Used by thousands of workers around the globe, the Honda EC5000 defines what it means to be a quality generator. 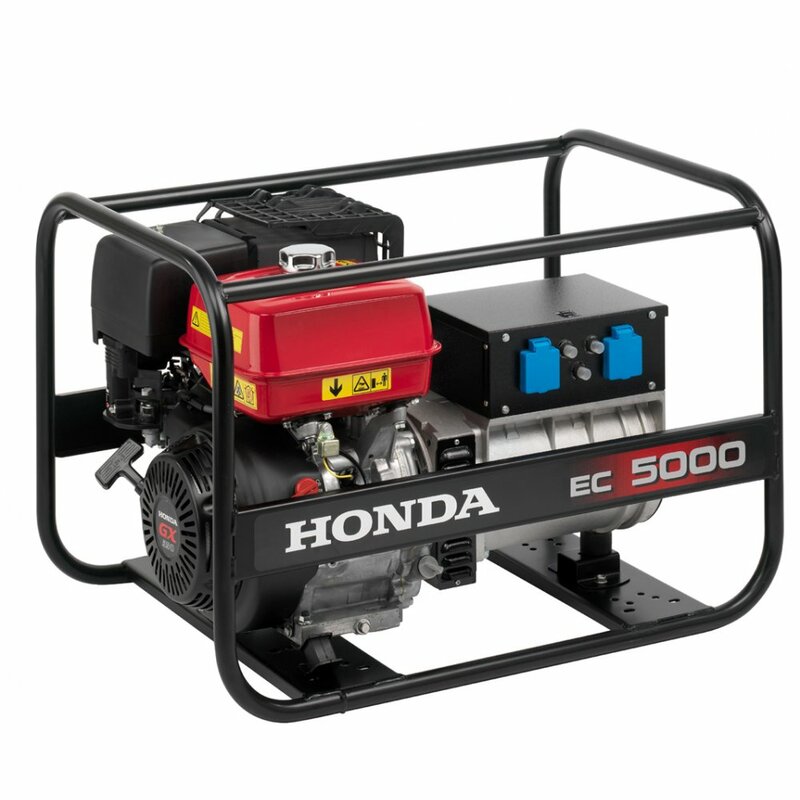 Constructed with a rock-solid frame of powder coated tubular steel, the portable EC5000 generator will last you years of heavy use.